Purchase this product now and earn 5,424 Reward Points! FemTeen™ is a unique formulation to support a young woman’s nutritional needs. Highlights include DIM, green tea and maca for enhanced immune and adaptogenic support. FemTeen™ Symmetry is suitable for vegetarians. (Suggested Use) Two (2) capsules two (2) times daily. 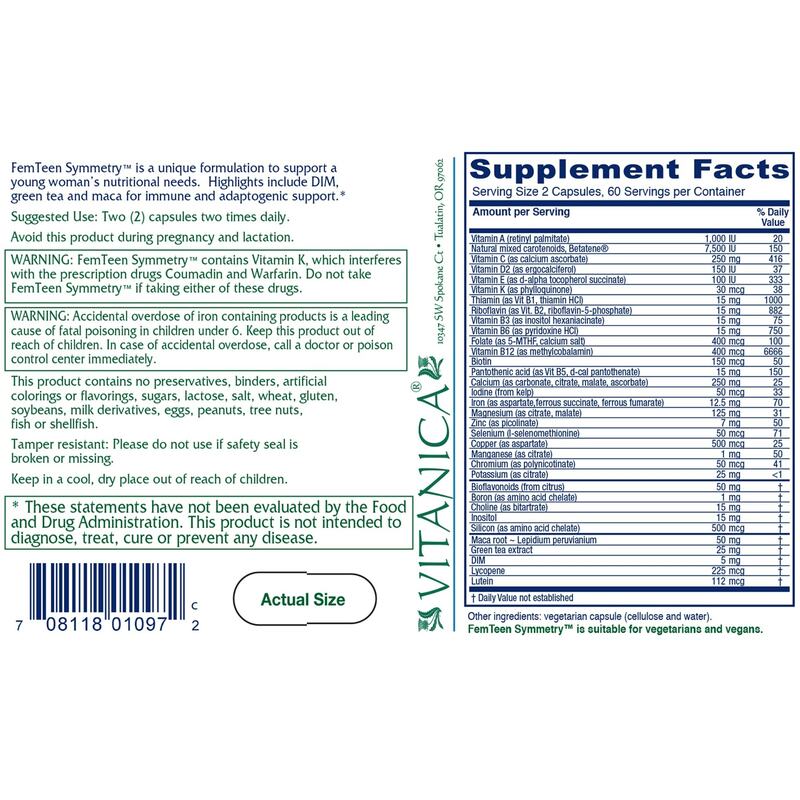 Contains – Vegetable cellulose and water. Contains soy from Vit. 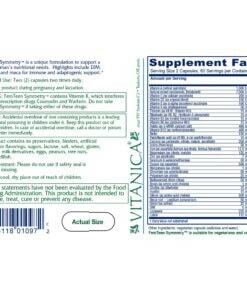 E.
Avoid this product during pregnancy of lactation. 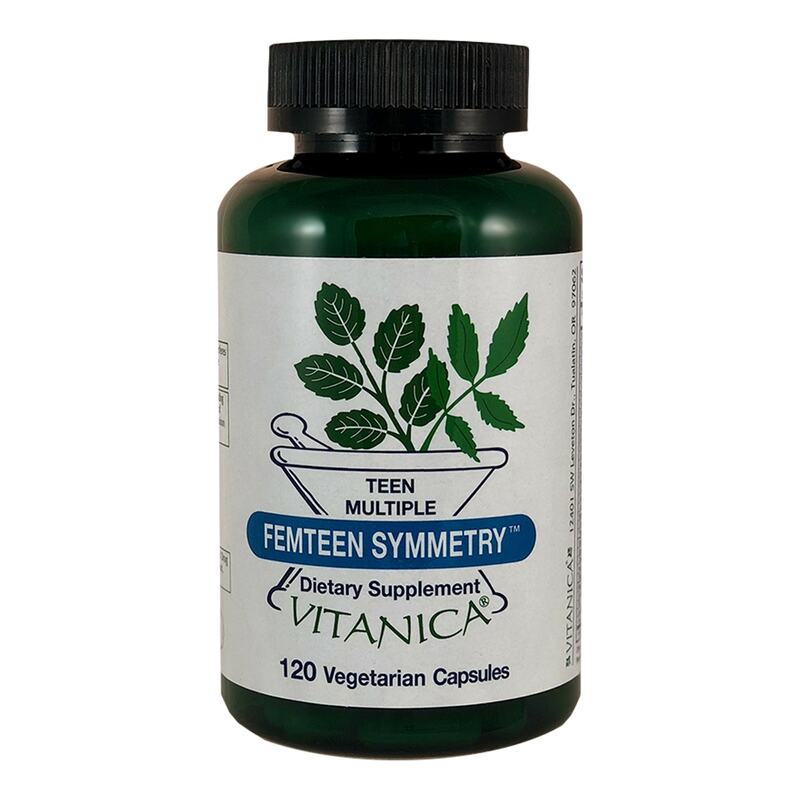 FemTeen Symmetry™ contains Vitamin K, which interferes with the prescription drugs Coumadin and Warfarin. 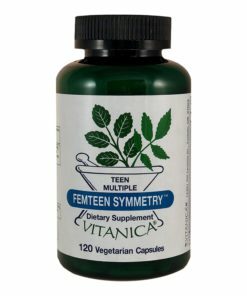 Do not take FemTeen Symmetry™ is taking either of these drugs.